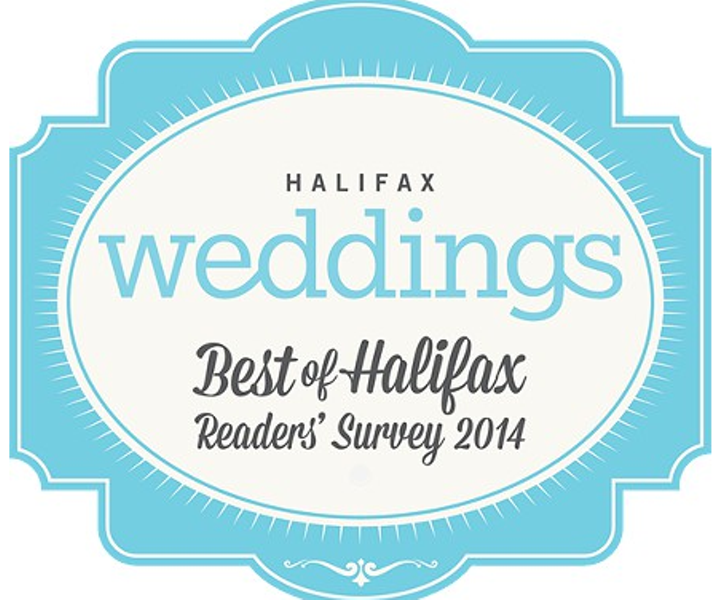 Readers voted for their favourite wedding vendors—here’s who takes the cake. Kitchen Door is sure to bring you the right ingredients to make your dream menu a reality—especially the local ones. Chef and owner Patty Howard says, "Kitchen Door Catering has become known for our unique menus, customized to each couple. We really try and capture the overall vision, incorporate family cultures or traditions and bring food to the forefront of the event. We don't have Menu A, B or C—each is truly tailored to the client. When a couple wants gourmet pizza for their late night snack, we bring our wood-fired pizza oven and create the most amazing pizza made right before their eyes! It is those unique touches and our outstanding team that make each wedding so memorably delicious." The winner of gold for Best Decorator and Best Event Planner, Elegant Productions is dedicated to making your day magical, locally or abroad! Lauren Martin enjoys that she and co-owner Katelyn Hipson can share their talents across the globe and locally. "We also assist in planning destination weddings here in Atlantic Canada, to ease stress of traveling brides and grooms.We have the privilege to wake up everyday and work in an industry filled with love," says Martin. "Whether it be here in beautiful Halifax, or in cities afar, Elegant Productions will work to create an unforgettable, personalized client experience." Chelsea Lee knows that attention to detail is important for creating a colorfully romantic day beyond your imagination, and she goes above and beyond for each couple. "I see each one of my weddings to completion," she says. "I meet with my clients, discuss the flowers of their dreams, create customized proposals, design, deliver and set up. I also limit the number of events I take on each season so I can put my whole heart into each one I do." The Bay makes creating your wedding registry simple. The staff will help you to keep track of your requested items, and the categories on their website gives you easy access to your lists when you are on the go. If you are feeling overwhelmed, there is even a Countdown Calendar that will guide you through your plans from month to month.Explore all the items and spark your imagination for your perfect wedding gifts! If you're looking for wedding invitations that stand out and reflect who you are as a couple, Duly Noted has a wide variety of designs to chose from. "We love to start brides on their journey and ignite the excitement for their big day," says Laura Walton, lead consultant for wedding and social stationery. "We make the invitation process easy, fun and exciting. Picking up the first sample of your invitation is a delightful feeling and we love to be a part of that. Our invitations can be customized to represent each unique story." Jason Lefrense has made a name for himself as a videographer in Cape Breton, but many couples across the province seeking him out for that perfect wedding shot. What better gift could a couple receive on their wedding day than the chance to capture each precious moment on high quality film? "We have been extremely lucky to have worked with some of the most amazing couples on their wedding day," says Lefrense in response to the win. "We love what we do and our team is very passionate about their work. Thanks to everyone who has helped us along the way." Layers creates elegantly designed cakes in all sizes and portions, depending on your budget. Owner Jenn Harrison has been making cakes for the past decade, with a dedication to baking cakes that comes from a passion for home decorating, she is sure to bring a unique flair to your dessert. Your guests may even recognize her signature style—her one-of-a-kind designs have been featured in wedding magazines and Layers has received its fair share of media attention. "We are ecstatic to receive this award!" says Harrison. "Winning gold is such an honor for us personally and our business. Our wedding cakes allow us to show our artistic side and our passion for quality. We LOVE cake. We LOVE buttercream. We LOVE fondant and all that can be done with it!" Applehead's photographers Liam Hennessey, Steph Camp and Emma Rose all offer something unique in their approach. They've captured it all, from airport weddings, to Jamaican elopements, even a couple who took a helicopter to a glacier! For Hennessy, the best part of taking photographs is being able to preserve those special memories through the lens no matter where or how a couple chooses to celebrate. "We've shot your weddings everywhere from New Waterford to New Zealand," he says. "These are the moments we cherish." Two boutiques decided to join together to create the experience of every bride's dream— two years ago Winchester's and Felicity Bridal combined their talents to create Chester & Felicity. This boutique promises a modern yet traditional feel. There is something for brides of all styles and backgrounds that will give you exactly the look you want for your special day. Christa Akerman says team Chester & Felicity is grateful for the win and their valued clientele. "Thank you to all of our customers for this recognition. We are honoured to be part of their special day." It can be challenging to try and find the perfect wedding ring. A popular brand jewelry store might not have the right cut or selection that you're looking for, or the price. At Fireworks Gallery, however, you can have a ring restored or created to match your personal style and that reflects your love story. Owner and Designer Judy Anderson says, "Our clients seek wedding jewellery that is uniquely personal. In designing engagement rings and wedding bands we are often challenged to incorporate details which hold special meaning for the couple--where they met, what they value together and in each other, for example. Our wedding rings are more than just jewellery, they tell individual love stories. What could be more romantic, inspiring... and a joy to create!" Lauren Arbuckle, also a hair stylist, is creative, patient and will help you put your best face forward. "I am truly humbled and floored to have been voted as the best in this category," says Arbuckle. "I strive to make my brides feel and look their absolute best in their natural beauty on their special day. My goal is to make their wedding day memorable and relaxed. I have the best clients anyone can ask for." Spirit Spa is the perfect place to treat yourself pre-wedding, winning gold in two categories. "Spirit has a passionate team of aestheticians eager to help you get ready for the big day. We'll pamper the bride, groom, wedding party and friends as you make memories to last a lifetime," says Nicole Devanney. Laura Duffy, Best Hairstylist winner, is committed to making her brides feel their best. "Every bride is unique and so is the look she is trying to achieve," Duffy explains. "I work with her to create a memorable, beautiful style to add to her confidence and glow on her day." Dugger's is a great place to see a tailor for that perfect wedding tux! Plus, with the best and the latest in men's fashion, their tailors will ensure that groom, best man, and groomsmen look stylish and classy. A quality suit can make all the difference when it comes to confidence, especially if you have wedding day jitters. Dugger's offers unique selections as well. "I would say what makes our style unique is that we do a twist on conventional wedding attire, i.e. tone on tone paisley jacket with satin lapel silk flower knots as accessories," says owner Ross McNeil. "Of course we still have lots of traditional—if you want to stand out, Dugger's is for you!" With over a decade's worth of experience, Oceanstone Resort provides you with the ideal romantic location by the water, whether it's Peggy's Cove or Indian Harbour. "Oceanstone Resort is truly a unique seaside destination for weddings," says president Lizzie Moore. "Couples truly love their experience as they get swept away in the magic of Oceanstone. We love what we do and love sharing with the couple and their families and friends what Oceanstone is all about." With catering included in this exciting venue, you can have a magical and unforgettable wedding party as you dance the night away! The Prince George Hotel is an elegant and popular wedding venue, winning two golds as well as silver in two categories. With a wedding planner on site, couple suites and catering, you can plan every detail here. Did we mention the breathtaking banquet rooms? "Most often couples select the Prince George Hotel for its patio settings and modern decor," says Penny MacKinnon, the hotel's special events planner. "What they end up appreciating the most is that our staff become a family therapist, life coach, seamstress, florist, dog walker and everything else they forgot they would need." It doesn't matter if your wedding party is large or small, Pier 21 has wonderful rooms for the ceremony or reception. Lauren Patterson, facility rentals manager, says, "From the ceremony to the dance, our waterfront location allows couples to celebrate every moment of their special day under one roof. With our facility's rich history of new beginnings, many families with personal connections to the Museum choose our venue." When it comes to finding someone to perform your wedding ceremony, you want an officiant who is patient, respects your vows, can incorporate your requests and understands your needs as a couple. It also never hurts if they are as excited for your special day as you are! Karen O'Hara has been passionately marrying couples since 2007. Her style is considered to be warm, personal and creative. Most importantly, she will help you to stay calm so that you can enjoy the big day. Big Fish is a five piece band known for their beautiful harmonies, performing music from the '50s, broadway and Top 40 favorites. Band member Sarah Letcher says, "We have learned to read the audience, whether it's a wedding reception, bar, fundraiser or large corporate even, and play tunes that all generations enjoy dancing to. We try to keep both older and newer songs on our playlist so it makes it fun for everyone. We want to make sure you have a really great time and if YOU do, we do too". True North's Scott Rideout is honoured by this win and enjoys planning just the right music for the couples on their happy day, working with them to pick the best possible tracks. "Our approach to wedding music planning is fresh, fun and consistent," he says. "Whether it's dinner music or dance time, from the moment we press play, we strive to blend couples personal music tastes with our own formula of music. Our team is hungry for packed dance floors and we limit the amount of cheese in our playlists." The Five Fishermen's private dining room is the ideal location to make your rehearsal dinner special. Their seafood is fantastic—some of the best in the province—and the atmosphere will make you feel right at home as you celebrate your special day. "The Five Fishermen has been part of Halifax's history for almost 40 years, and as such, many young people have already experienced it as a comfortable, familiar spot to celebrate the milestones of their lives," says general manager Heather Brown. "It represents stability, consistency and quality to many people, which are the attributes they want in their relationships." While charcoal gray may not be the first colour choice, when you combine it with blush pink, the results can be rather charming and delightful. Whether you are outdoors or inside a beautiful church or hotel ballroom, these colors will reflect that mixture of excitement and calm that your wedding day brings, and be especially inviting to your guests. From grey suits to coral dresses, to various shades of pink floral arrangement, there are many different popular combinations when it comes to wedding dress and decor. If you're a little bit country, you may feel to confined by an indoor wedding. To you, a gorgeous landscape is a much more ideal setting to exchange your vows. You probably dream of getting married in the great outdoors and prefer a simplistic style approach. Rustic weddings are the latest trend and more and more couples are hopping on the bandwagon! These ceremonies are often planned using materials made from nature. Tree bark and twigs for example, could be used to make a pretty centerpiece for your wedding dinner, and compliment your choice of dinner courses, which might include the home cooked foods your parents and grandparents grew up enjoying replace the fancier feasts. You can wrap your bouquet in burlap or adorn your hair with a flower crown, or use mason jars instead of vases. And who says a bride needs fancy heels? Cowboy boots will do just fine, thanks, as long as everyone gets up to dance.